Having a night routine is essential to keeping my sanity during a hectic work week. I know that when I come home from work, I can always rely on a stress-free routine to help me unwind and relax to help ensure that I get a good night’s sleep. Today I wanted to show y’all my night routine by sharing my favorite makeup removal, skincare, and teeth whitening products I use on a daily basis. Be sure to read all the way through to find a discount code to help purchase your own teeth whitening system! So sit back, relax, and unwind with me! Removing my makeup is obviously step number one in my night routine. My removal wipes of choice are the Neutrogena Makeup Remover Cleansing Towelettes. I fell in love with these wipes not only because they effortlessly remove even my most stubborn makeup, including my full coverage foundation, shimmer eyeshadow, and waterproof mascara, but they also contain the perfect balance of oils. With other wipes I’ve tried, there is either too much oil, leaving an icky residue behind on my skin, or there’s not enough oil, causing me to scrub my face. I think we can both agree that neither are appealing. After all makeup has been wiped away, I splash my face with a little water from the sink to cleanse. If I’m being honest, my skincare fluctuates based on just how bad my skin looks and feels. If I’m feeling stressed, I spend a little bit more time pampering my skin. On a typical day, I’ll start with my Clairsonic Mia 2 to cleanse my pores and rid my face of any dead skin. Then comes my favorite part: the mask! Now, don’t make fun of me, but I have a paralyzing fear of sheet masks. I can’t even look at another person wearing one, let alone wear one myself. Due to this irrational fear, I stick to the clay, mud, and charcoal masks. Which, in my opinion, are a lot more fun. My mask of choice at the moment is the Freeman Beauty Charcoal and Black Sugar Mask for detoxifying my pores. 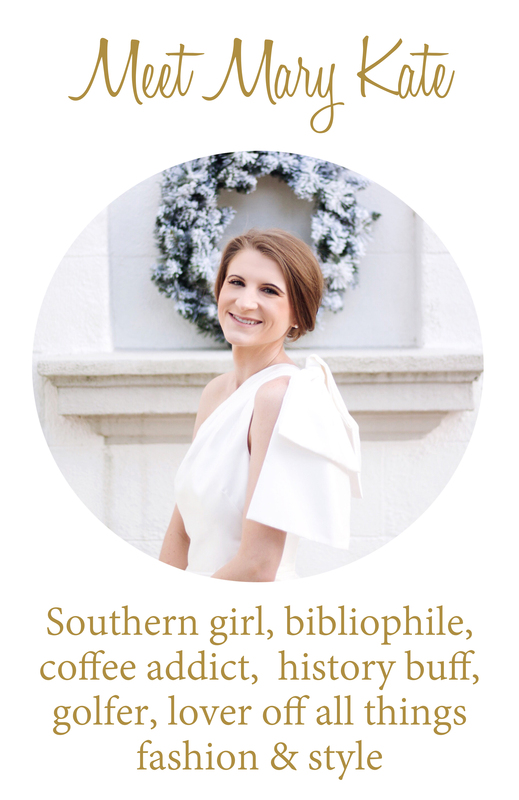 I first introduced y’all to my love of Smile Brilliant’s easy to use custom teeth whitening system a few months ago. To refresh your memory, Smile Brilliant is revolutionizing the teeth whitening market by making the entire process available in your home. Once your Smile Brilliant system arrives, you create the molds for your teeth with the materials and instructions provided, then send them back to Smile Brilliant for your custom trays to be made. After you receive your custom trays, using the Whitening Gel is super easy. Simply line the trays with the Whitening Gel and wear them for 30 minutes to 3 hours a day. I usually wear mine for 30-40 minutes while I relax before bed. After I whiten, I always, I repeat always, use the Desensitizing Gel. Tooth sensitivity is something I struggled with when using a similar teeth whitening system from my dentist. The gel was very intense and I had no way of relieving the pain in my teeth after using it. 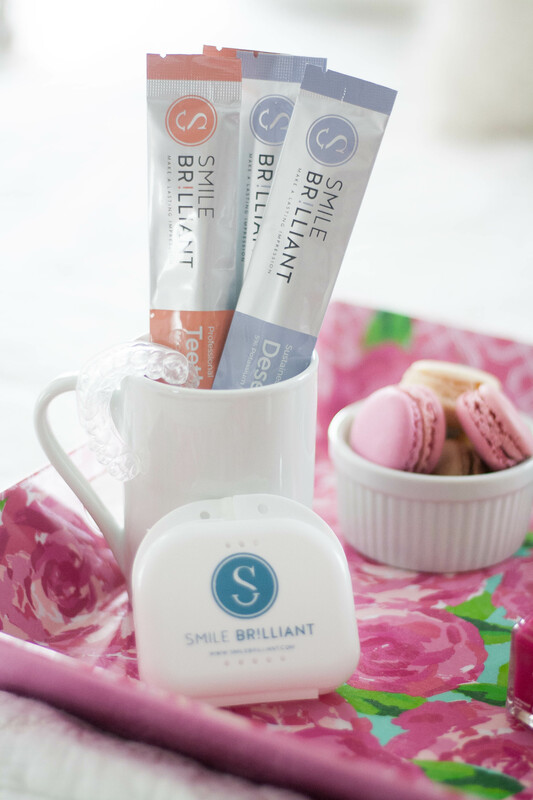 Smile Brilliant offers Desensitizing Gels to apply immediately after using the Whitening Gel for 15 to 20 minutes to protect your teeth from sensitivity and re-hydrate them overnight. Use discount code CHICLITTLEHONEY25 at checkout for $25 off your order! Oh, and did I mention Smile Brilliant is vegan-friendly and cruelty-free? 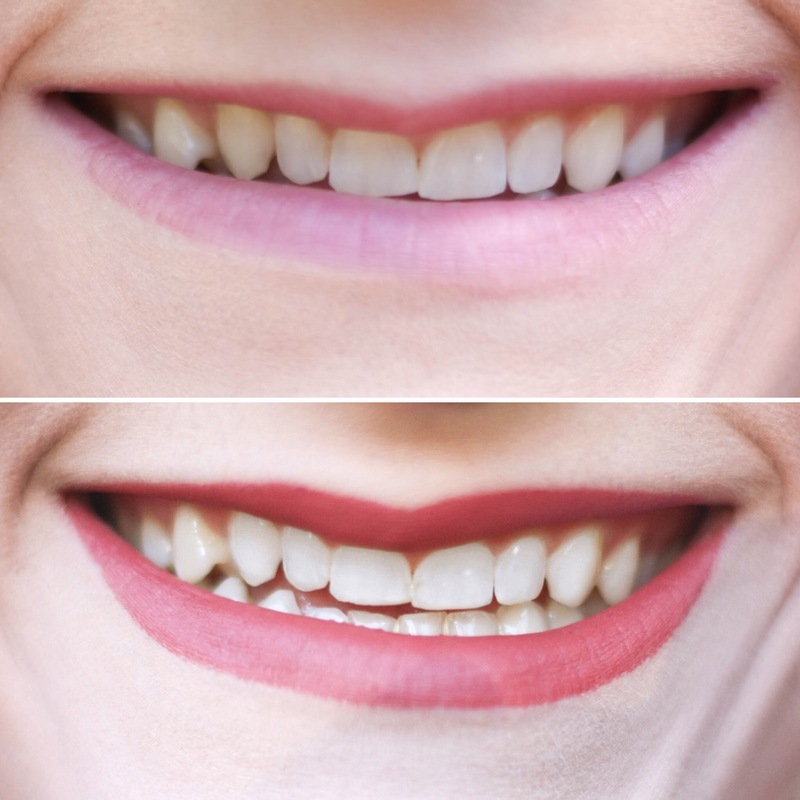 See all of the in-depth details about Smile Brilliant in my first post here. Now to my favorite part of my routine: relaxing! After a long day at work, I always curl up in bed with my laptop and catch up on reading my favorite blogs and watching my favorite Youtube channels. If I’m cramping or have any sore muscles, I heat up this adorable microwavable plush to alleviate My fiance, Colton, and I FaceTime for a few minutes to talk about our days and plan the weekend ahead. After a while, I turn off all technology (which, I admit, is hard but necessary! ), and pick up a new book to finish off my night. This post is brought to you by Smile Brilliant, but all opinions are my own! Thanks for sharing! This sounds like a great routine, I always whiten my teeth and I have to remove my makeup every night!